A lightweight rocket launcher with a garage-made feel. 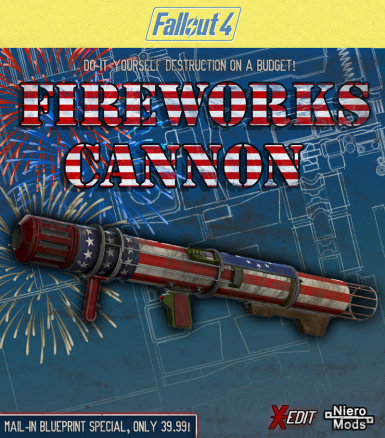 Has multiple ammo types including full-auto bottle rockets, single shot cluster rockets and more. Also includes 3 standard paint styles, as well as 3 customizable styles that can use palette index mods. Tired of lugging around that massive quad missile launcher? Unusably-heavy heavy-weapons in Survival making you miss those long range booms? 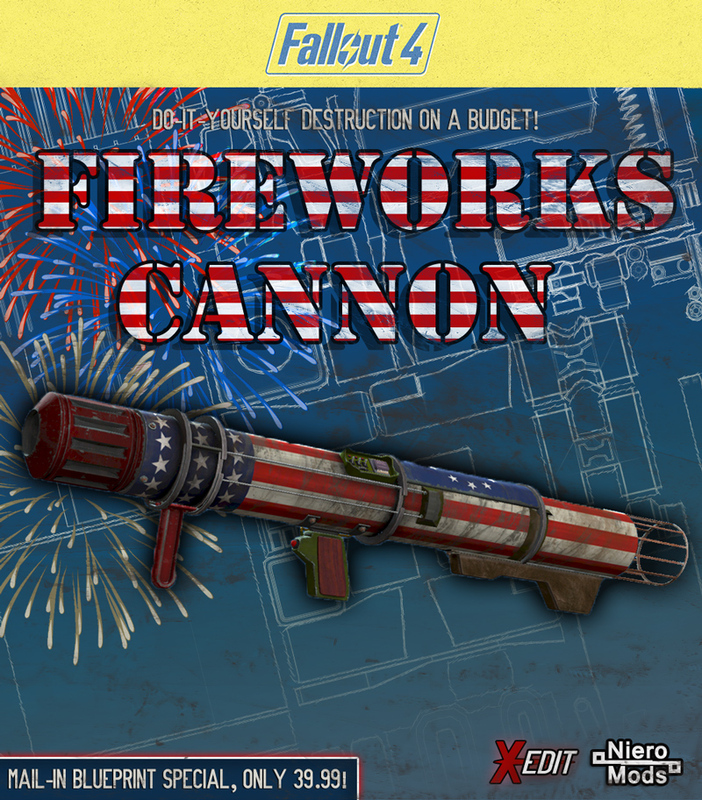 Worry and want no more, the Fireworks Cannon is here to lighten your load, and give you those valuable style points. 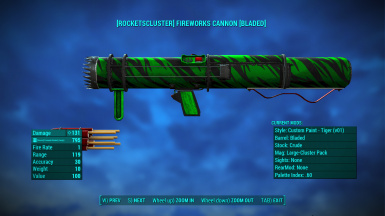 The primary element of this mod is the ammo types, there are three sizes that can be used in different ways, Large-Rockets, Large-Clusters, and Mini Rockets. Start by breaking down standard missiles and then convert up or down as necessary at any CHEMLAB. --Large rockets can be used in a 7 round magazine as either a single fire rocket, or a shotgun-style blast of 7 mini rockets. --Large Clusters can be fired all at once for a massive cluster volley of 7 large-rockets, and includes a special patriotic smoke trail version. 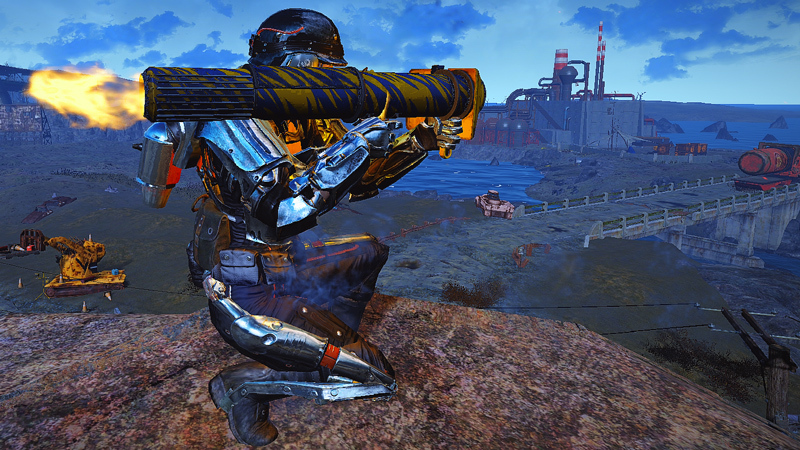 --Seeker rockets can be enabled with some crafting perks, these will lock-on and track in aim mode. --Clown rockets also have the seek effect, along with some other special effects. They can be enabled only after the clown barrel is attached. 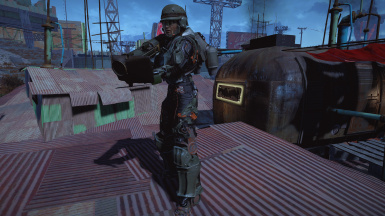 There are other, more traditional, mods which trade weight for performance, as well as a ballistic shield which adds a significant boost to your armor rating while the launcher is equipped and readied/relaxed. And of course there are paint jobs. 6 Base textures, 3 traditional textures and 3 paletted textures, that can be used with 30 unique indexes. 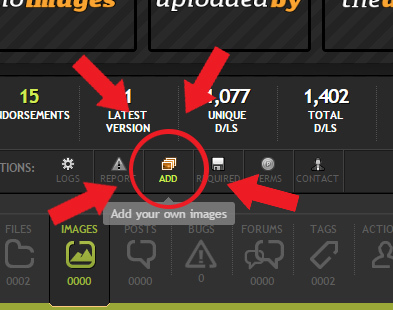 REMINDER: Screenshot auto-approve is ALWAYS on for all of my mods, showoff your sweet new gear. Fixed ammo conversions using an outdated category in chemlab menu. Removed Leveled list overwrites for better compatibility. -Weapon is only obtainable with chemlab crafting now. Enabled the clown customizations that were initially left out to be included with Maxwell's World. 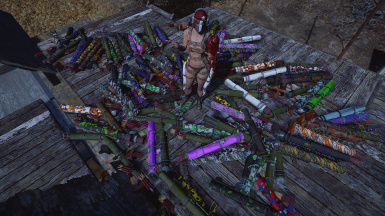 -To use the clown mods you must craft the Barrel first, once crafted the paint style and magazine mod will show up in their respective menus. 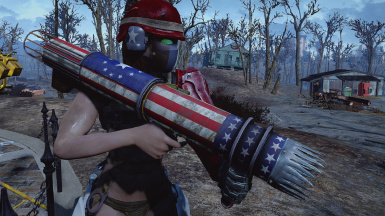 -If you really like the special clown FX but dont want the giant clown head you can remove the barrel mod after you've made the other parts. Fixed shield Barrel adding less armor than intended. Altered the smoke trail particle effects of colored rockets to make their patterns look better from first person. 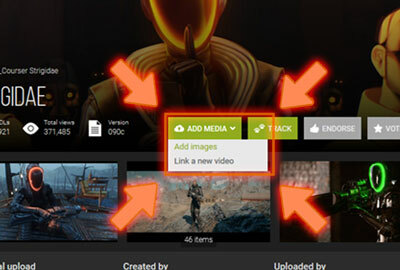 Altered ammo descriptions in crafting menus to better state what each ammo type is for. Removed the need for Cosmetics Framework. --This mod should be completely self contained now. CRAFTED AT CHEMLAB. Under Utilities. Colors/Size are customized at any WEAPONSBENCH.